Welcome to our new series of posts covering our favourite Zimbra tips and tricks to save you time and improve your productivity with Zimbra. This week we start with searching in Zimbra. Finding old emails or even something you sent last week is no chore with Zimbra. Searches are fast, simple and very powerful. 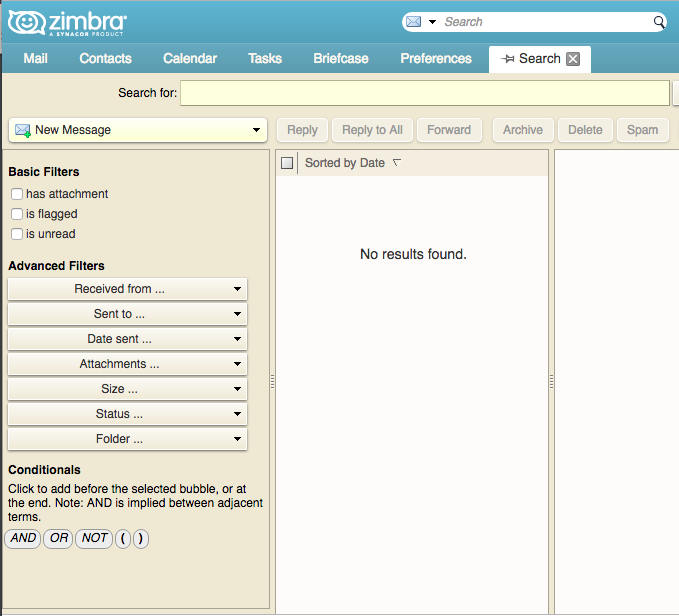 With Zimbra search, you’re able to search your entire mailbox, including attachments, within seconds. Search is located in the top right corner of Zimbra. Looking for an email from a specific person? 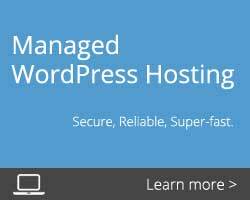 Type in from: and their name or email to refine your list. For example, from: lisa will display all messages with the sender name of Lisa. Search within folders by selecting the specific folder or simply typing in: and the folder. For example, in: sent will display all messages in your sent folder. Search for words in an email by typing the words into the search field. Zimbra will scan your emails to look for the specified keyword within the subject line, body of the email and the attachments. For example, “testing” will return all emails with the word testing in any part of the email. If you’re looking for a specific phrase, make sure to use quotes. For example, “computer survey” would pick up all emails with the word “computer” and “survey” in them as standalone keywords. By clicking the search icon, you’ll pull up Zimbra’s complex search box to help you find exactly what you need. The search tab itself has numerous options and multiple menus that you can use to perform your search. For example, you can set a specific date range, show email only from certain senders, with certain tags, and with or without attachments, etc. If you’re looking to find all the emails sent to and from a specific user, you can right-click a username and click “Find Email”. 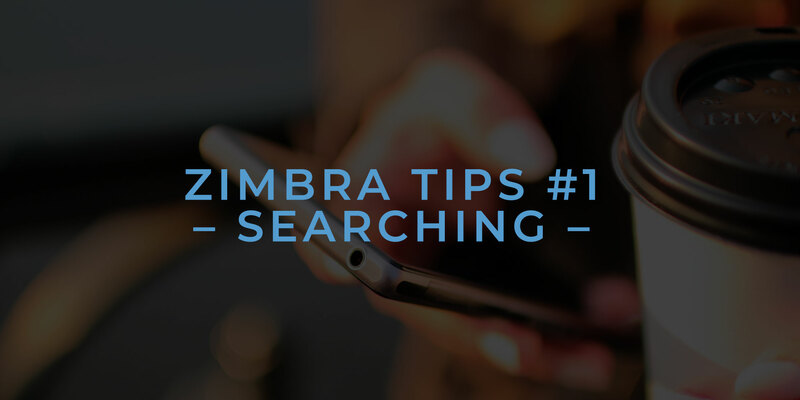 Zimbra also includes many handy search tools such as the ability to pin the search tab at the top of Zimbra to allow you to move between your email and your search results with ease! Also, Zimbra allows you to save any search you frequently perform, to save you even more time next time you need to search. To save a search, it’s as simple as clicking the save button! 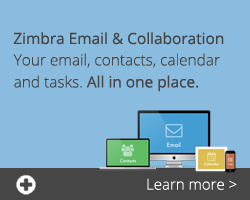 If you’re interested in finding out more about our Zimbra solutions, check out our website. Keep an eye out for our next blog post covering and simplifying another key aspect of Zimbra! If there’s something you’d like us to cover, message us on Twitter @intuitionnet or on our contact page.